Business description - Jakharia Fabric is engaged in the business of dyeing and processing of fabrics on job work basis for other textile companies as well as for own manufacturing product lines. The company procures Grey Fabric from the market and further dyes and finishes the same as per the client’s requirements on the basis of quality of the fabric, sizing requirements etc. The company also outsources certain processes like weaving of the fabric and printing as per the demand of the customers based on the quality required. The company manufactures and processes the fabric especially suitable for Shirtings. 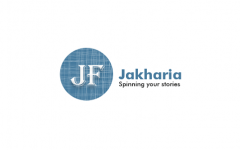 Jakharia Fabric is in process of setting up an additional processing facility at Plot No. J1/1, MIDC Tarapur Industrial Area, Boisar, Palghar – 401 506. This facility is being set up through M/s Jakharia Industries, which is a Partnership Firm, wherein Jakharia Fabric is a partner. The Partnership firm intends to carry on business of preparing spinning doubling texturing weaving, winding, knitting, scouring, sizing, bleaching, colouring, dying, printing and finishing and processing working or manufacturing in any way whatsoever of cotton, linen, wool synthetics and various other textile products. Jakharia Fabric IPO allotment status is now available on Bigshare Services' website. Click on this link to get allotment status.